Nutella asked people to send their love in the form of stories on its 50th birthday. Putting fans at the centre of the campaign idea. A global campaign to celebrate the brand’s role in the lives of its fans, inviting all to share beautiful moments that include Nutella®: photos, videos and written stories. 68253 shared as of today. Stories that can be liked, shared, pinned, tweeted. What a fantastic birthday present for a brand. Happy 50th Nutella! Is Nutella a Lovemark? Like hell it is! Does the campaign idea work? Yes it does so well. -It grows on u(u keep on thinking of various possibilities). Thank you Prateek. Glad you like the post. Keep reading! 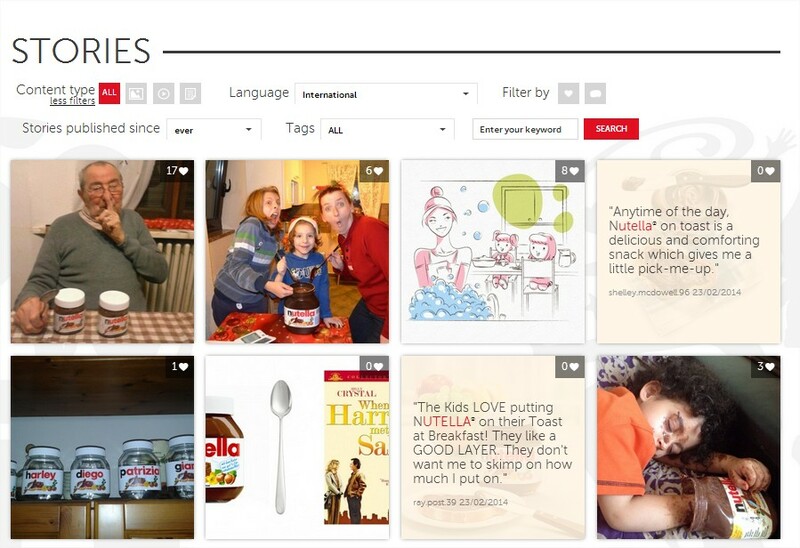 This entry was posted on June 6, 2014 by thebuystories in customer stories, insights, the power of stories and tagged brand storytelling, Nutella 50 years, nutella stories.